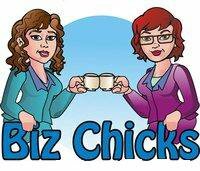 Bonnie Cramner and Jill Freeman, The Biz Chicks, dedicated their Blog Talk Radio shows in March to Facebook. They featured a different guest each week and I was honored to be their guest this week. I shared 3 effective strategies to create engaging relationships and ramp up your Facebook Business Page LIKES. You can listen to a recording of the show here. Create an Event on your Facebook page. I run a link sharing event every Tuesday on the Social Buzz Lab page. I call it TueZday Link Buzz and invite people to post their page links. Some weeks I mix it up by asking them to promote other pages they like. I use Twitter and LinkedIn to invite people to participate. I also publish it on LinkedIn groups and other pages. The result is an increase in likes those days and a drastic increase in the interactions. Promote other pages in your status updates, posts and comments. You should first switch to “Page Profile”. You can tag pages if you have “Liked” them as your page with the @ symbol then follow by typing the page name. Once you start typing you will see a drop down with matches. Keep typing until your match appears and select it. If it doesn’t show up then you have not liked them as your page. Go “LIKE” them and try again! Use your wall as the chat room for Webinars, calls and conferences. Remind participants to introduce themselves and post their page links and to engage with other attendees. Frequently remind them to refresh their screen so they can keep up with the comments and likes! You’ll be amazed at the impressions and interactions you will generate. When your chat is finished look at your feed to see all of the page updates and mentions!! We actually did this step with The Biz Chicks page during the Blog Talk Radio Chat. Their likes as well as their impressions and interactions increased but the best part was to see all of the new alliances created. These are just 3 ways you can generate BUZZ for your page. Learn these and other Facebook techniques at our Handzon Social Media Workshop on April 14 in Roanoke, VA. Graphic Designer, Erika Bentley will create a custom profile image for each person attending. some fabulous ideas. We do something similar like the Link Buzz that you do, but it’s called Tag a WAHM Wednesday and we have found that we have been building a great following of some really awesome WAHMs. We love the idea of using Facebook as a chatroom for a webinar or an event. What an excellent way to interact with those on your Facebook and get to know who they really are. LOVE IT! Thank you Cheryl & Leanne! I’m glad to hear that your WAHM Wednesday is working well for you! Keep it up and stop by our page on Tuesdays to share your link!! Thanks again for the comment!! This is great information for me, as I am brand new to the whole process of branding and promoting myself. I’m going to get to work on my FB page and tap into some savvy friends to hold my hand while getting things up and running. Thanks again. Delores I am glad to hear that you are ready to jump in and get to work! Many procrastinate and fear getting started but you have many resources you can tap into! You may want to subscribe to our newsletter and RSS feed to be notified of new content. Good luck Delores and I look forward to seeing your new business page on Facebook. This is great information for me, as I am brand new to the whole process of branding and promoting myself. I appreciate the help, believe me !!! !